Solid or Hollow Iron Balusters – Which is Right for You? 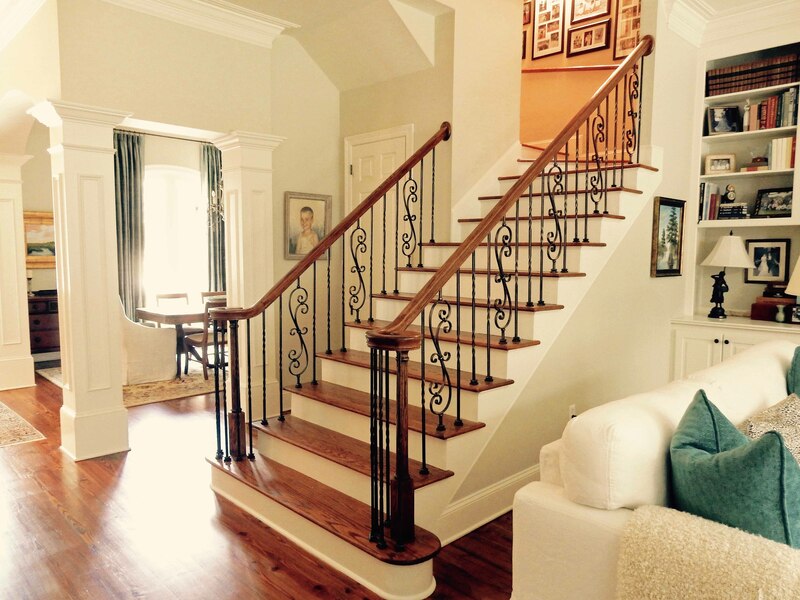 Stair Parts / Solid or Hollow Iron Balusters – Which is Right for You? If you’re interested in iron balusters, you’ve probably noticed that there are two main types available: solid and hollow. Solid iron balusters are made of wrought iron, a tough, forgeable form of iron that can be rolled and manipulated into different shapes. This process results in a lightly textured surface, giving these iron balusters an “Old-World” look. And because artisans can shape the metal more freely, solid iron balusters tend to be more intricate in design. 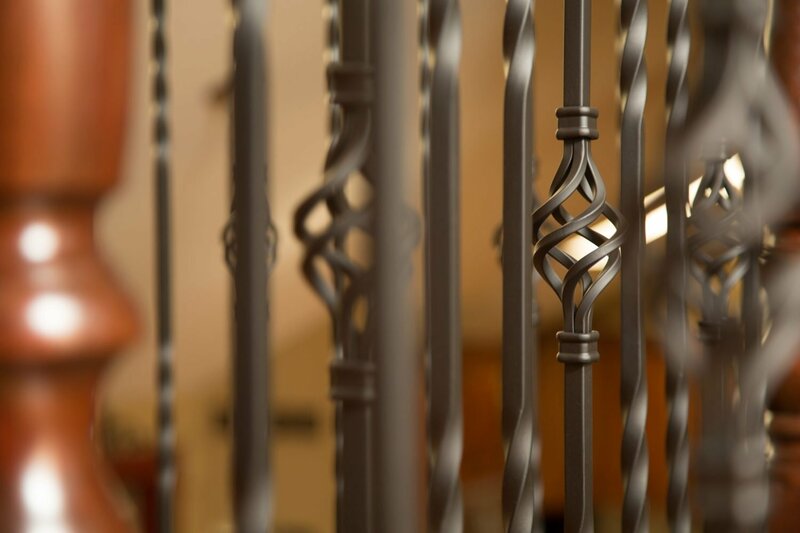 For hollow iron balusters, high-quality iron is poured and shaped through a casting process. This results in a smooth, refined finish. Because of the constraints of mold casting, the design options are often much simpler in form, but still popular for many modern homes. As you may have guessed, solid iron balusters are heavier than their hollow alternative. 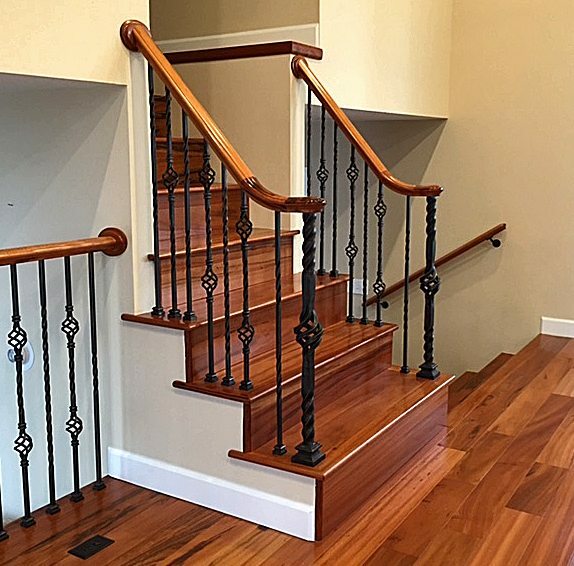 Hollow iron balusters also have a bit more give than solid balusters, but this flexibility doesn’t significantly impact the durability of the system once installed on the stairway. Both options are strong and reliable for long-term use. Iron balusters, both solid and hollow, will arrive oversized and must be cut down on-site to fit your stairway. Hollow iron balusters are easier to install, because there is less material to cut through – a small power tool or hand tool will do the job. Solid iron balusters require more time and powerful machinery to cut to size. Aside from cutting, the rest of the installation process is very similar for both styles. Read more about iron baluster installation. Solid iron balusters are generally more expensive than hollow balusters, because they are made of more iron material and require intricate shaping. With hollow balusters, you also have the opportunity to save on shipping costs. They weigh less than solid balusters, which usually means lower shipping and handling charges! At StairSupplies™, we offer a wide selection of iron balusters to match a variety of interior designs, ranging from classic to modern. To really embrace the iron look, we also offer coordinating iron newels. These larger posts help to anchor your handrail, often located at the top, bottom, and corners of stairways or balconies. Most styles offer a variety of finishes – order a sample to see them in person and compare with the rest of your home design. 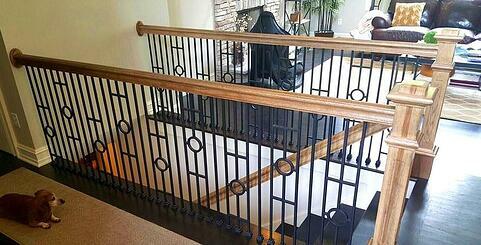 Whether you’re interested in solid or hollow iron balusters, our team is happy to assist you. We also offer a full lineup of treads and handrails that pair beautifully with iron balusters. Give us a call for customized assistance as you start your project. We can’t wait to see the results!